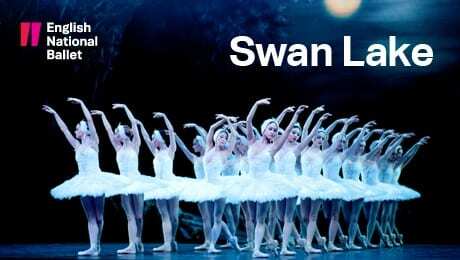 The English National Ballet’s production of the most popular ballet ever created, Swan Lake was beautiful and accomplished and the three-hour performance flew by. Tchaikovsky’s four-part masterpiece was performed brilliantly by the English National Philharmonic, with musical director and conductor Gavin Sutherland leading the way. Liverpool’s Empire Theatre was a perfect host for the ballet, and the lighting and sound on opening night was faultless with superb staging and scenery. The scenes at the lake were particularly effective, with dry ice providing an ethereal feel to the stage and as dancers rose from their seated position as reposing swans, the mist appeared to cling and then clear from their beautiful tutus. The story of Princess Odette (Jurgita Dronina) being kidnapped by wicked sorcerer Rothbart (James Streeter) and then falling in love with Prince Seigfried (Isaac Hernandez) is easy to follow and was wonderfully brought to life. The supporting dancers were marvellous, the sumptuous costumes setting the scene with traditional Russian dance, Spanish dance and such attention to detail. The cygnets were mesmerising – at times gliding across the stage, totally in synch or lifted effortlessly into the air by their dance partners as though they were as light as the feathers they wore. I marvelled at the height that the male dancers reached in their leaps and pirouettes. I am not a ballet expert by any means, but this was something special and not to be missed if you have the opportunity to see it. The English National Ballet surpassed all my expectations. Simply breathtaking.